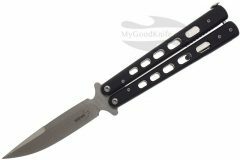 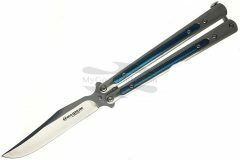 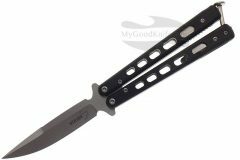 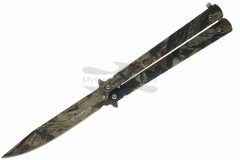 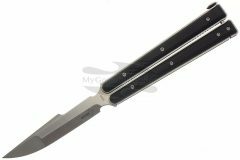 Böker Magnum Balisong Trainer - the revised version of the training tool for all enthusiasts and fans of this knife type, which is used to learn and perfect knife skills legally. 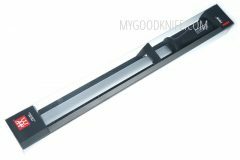 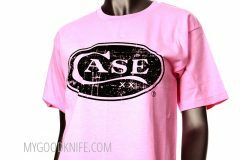 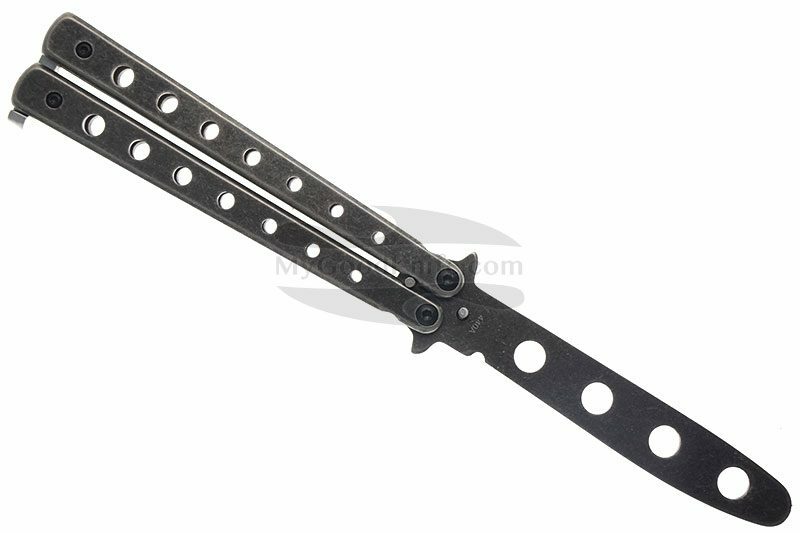 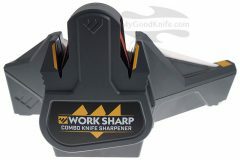 The stainless steel blade is not hardened and completely blunt, and is connected to both handle segments with torn screws, which can be also be easily retightened after extended training sessions. 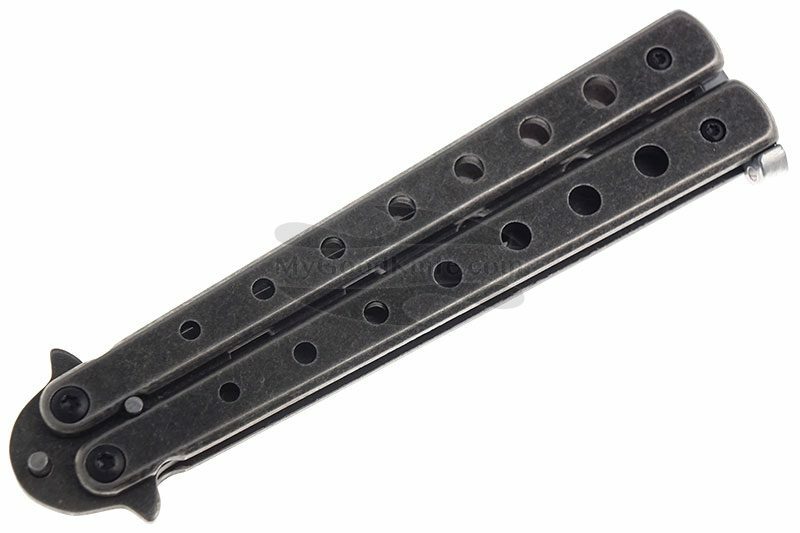 The classic T-bar is also screw-mounted. 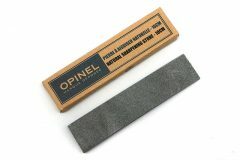 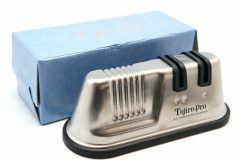 The perforated stainless steel handle scales provide secure handling.